Complete sweater machinery solutions. From sweater yarn, to winding , knitting , finishing , we provide you a complete solution . what you have to do is build a factory , rest of things we are providing you. New technology, high efficency, high production , energy saving, labor saving, let you to run a sweater factory with hassle free . Quality Machineries , each year machine matainence charge is almost 0 . Why maximum big sweater industries selected us ? 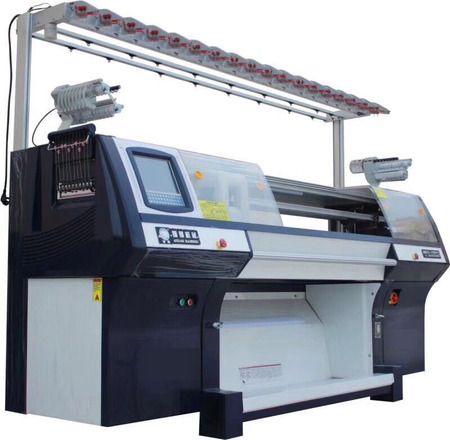 HI TECH, is not only manufacture machine , we have our R&D team, we always focus to make the machine which can improve our customer's production capacity, and save the labor's charges ,etc. We never beat our competitors with price , because low price machinery only can do ONE TIME business , and what we wants is win-win situation , customer use our machines can make profit , and we also can get the repeat orders when they need increase machine again , they will also introduce me some other customers who needs machine. 3. PROFESSIONAL & EXPERIENCED IN SWEATER IND. How to make a sweater factory ? Which machines you need ? How many machines you need ? How to meet the requirement of opening a 100% export oriented sweater factory ? how much Budget need for a factory ? etc . All of the questions you wanted, our team will help you to solve one by one .